It was rainy and cool here on Saturday--the perfect day to try to get some DIY done for the girls' upcoming baking birthday party. So, I decided to start putting the chef hats together. 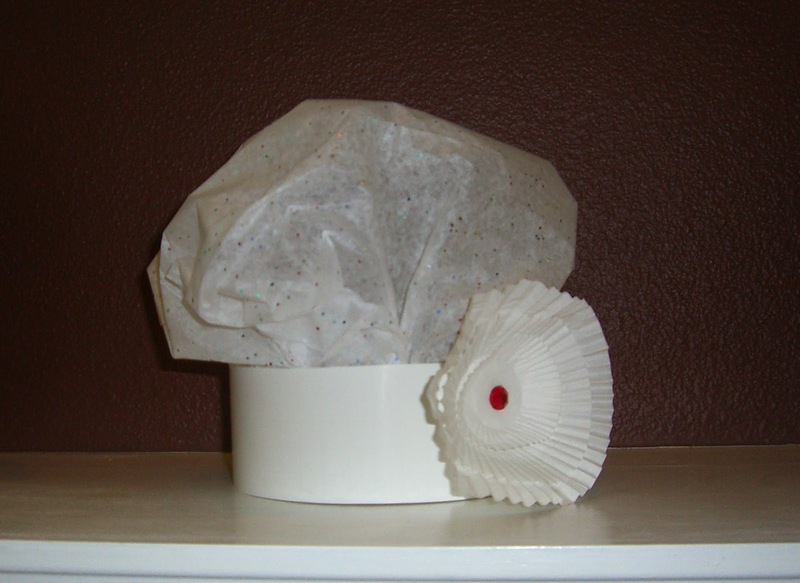 When I first started looking for chef hats for the party, the cheapest kind I found were paper ones for $1.99 each. Well, I made TEN for only $2 (not including the flowers). To add the flowers, it was an additional $5. Here's what I did. My plan is to have the flowers pre-made, but not yet on the hats so each girl can color their flower with markers. 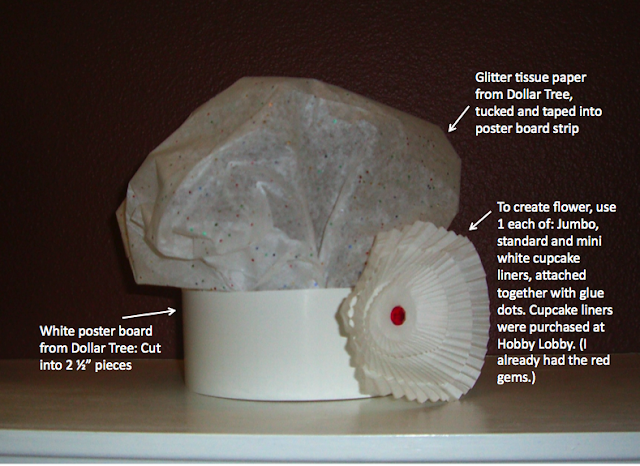 They'll also add their names to the poster board strip with adhesive letters. Plus, each girl will get an apron to decorate with fabric markers. (I'm buying the aprons.) They'll look so adorable when they're ready to bake! And here is Siena trying the hats on to make sure they'll fit okay! So, if you're looking to save a little money for a baking party, pizza party or general cooking party (for any age!) this is a great money-saving alternative for the chef hats! 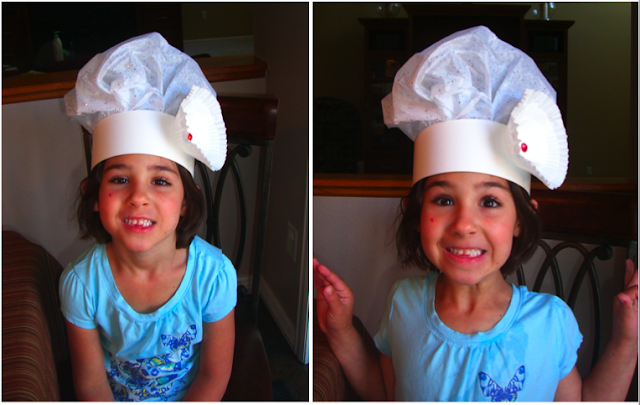 An adorable way to make chef's hats!